303 MullenLowe’s Mediahub has won Small Agency of the year (network category) at the AdNews Agency of the Year Awards in Sydney on Friday April 5th. The event, which took place at Sydney’s Town Hall, celebrates excellence across media, advertising, creative, PR, social, content and digital in Australia. 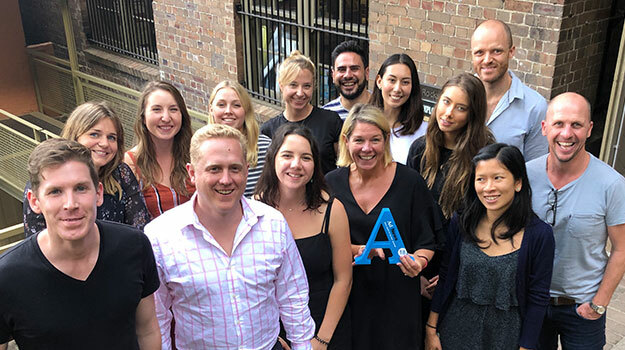 MullenLowe Mediahub Sydney Managing Director, Andrew Livingston, commented that, “We are delighted to be recognised as the best small agency in Australia, particularly as we were finalists with such talented peer agencies. “We’ve seen some tremendous growth over the last 12 months doubling our team and onboarding some great clients – the Mediahub team have worked incredibly hard to achieve this. Mediahub’s Australian client roster includes Prospa, Netflix, Western Union, Harley Davidson, iNova, TK Maxx and Crust Pizza. Globally, Mediahub employs over 450 people in 12 offices worldwide, including Los Angeles, New York, London, Singapore, Tokyo and Shanghai, and is affiliated with IPG Mediabrands for global media buying.